Posted in: Blog, Paintings. 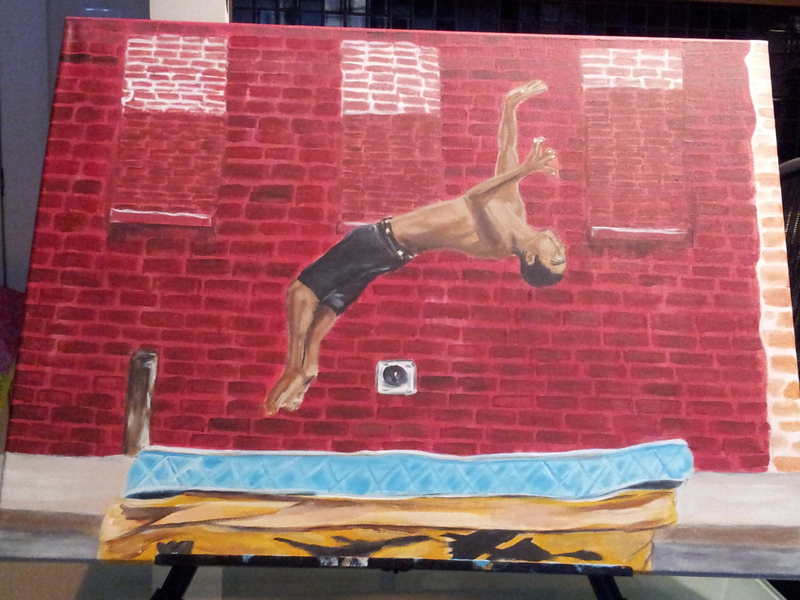 Tagged: acrylics, Artist, back flips, mattress, Melvin Nix, Painting. 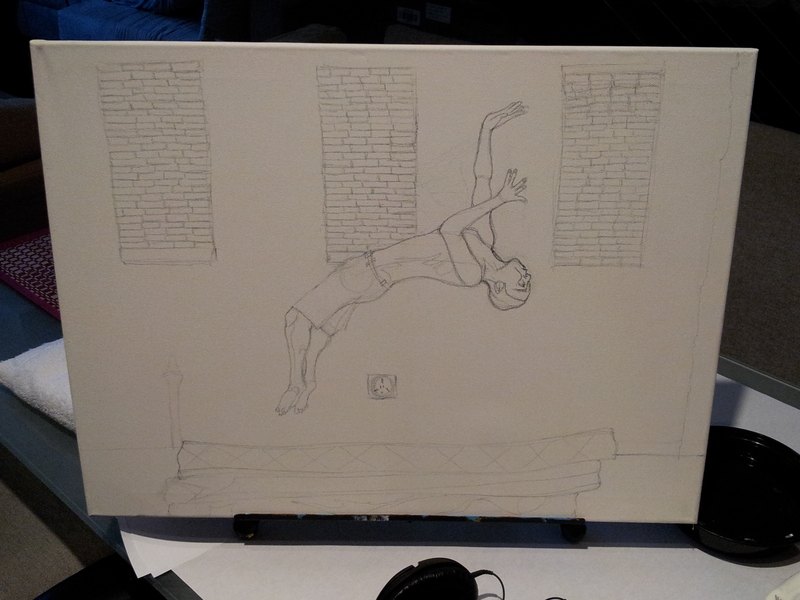 The inspiration behind this painting came from memories of the days I used to do back flips. As far as I can remember I have loved to be off the ground. I would have my great grandfather make a cape for me out of the Sunday newspaper and the twist ties that came with Wonder bread and off i’d go pretending to fly. It required lots of patience on his part because my cape would always fall off shortly after i would have him attach it around my neck. As I got older me and my friends began teaching ourselves how to do back handsprings. We would find an old mattress and box-spring set by the dumpsters in our neighborhood, drag it for about a mile to where we would often play and then we’d fashion our own version of a trampoline. Back then it seemed that we could bounce a good 6 ft off the ground. From those mattresses we eventually learned how to do back handsprings, forward and backward somersaults and twists. Fortunately we didn’t kill ourselves! Man, those were fun times!